This flatbread is an adaptation of my BEST EVER Pizza Crust that we eat all the freakin' time in the McJordan home! 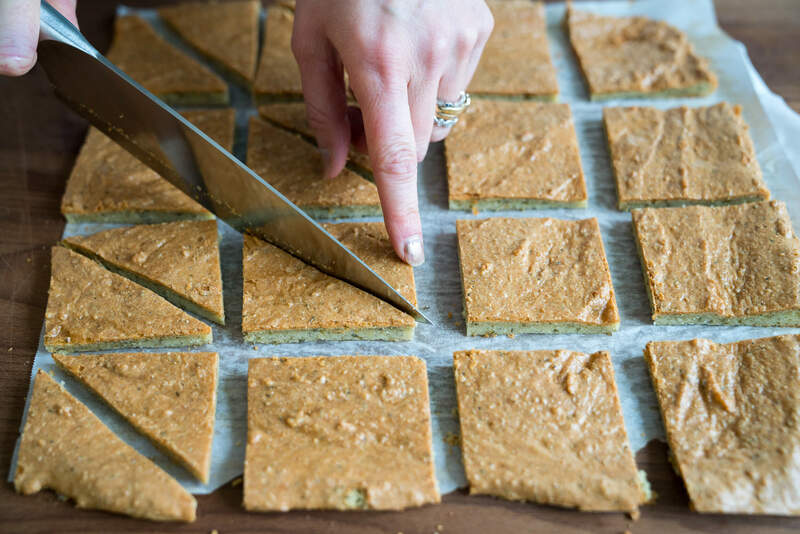 Since it's the holidays, I thought I would take this beloved recipe and turn it into the perfect flatbread to act as the bottom for pretty much any topping. 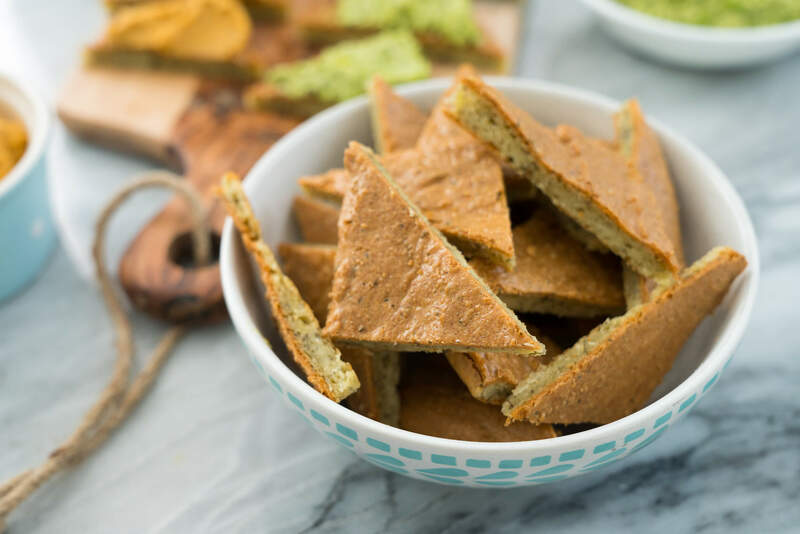 This flatbread is pretty hearty because of the ingredients like Hemp Hearts and almond flour. Hemp Hearts are an excellent source of protein and all the ingredients together really increase the fiber too. 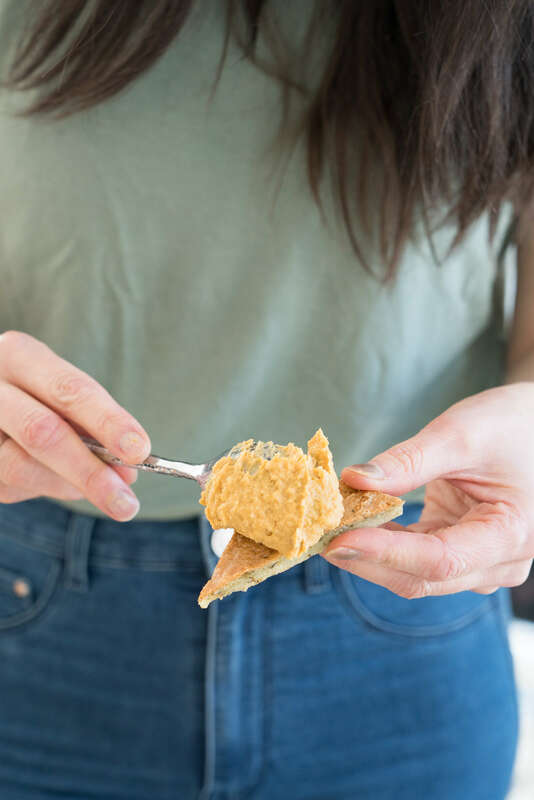 Protein and fiber together make an ideal snack that is fulfilling and blood sugar balancing, waaaaay better than eating pumpernickel spinach dip or sausage rolls at your next holiday party. You also might appreciate that it is grain-free and gluten-free too! I know a lot of people avoid both for better digestion and reduced inflammation. Either way, I'm pretty sure you're gonna love this recipe! 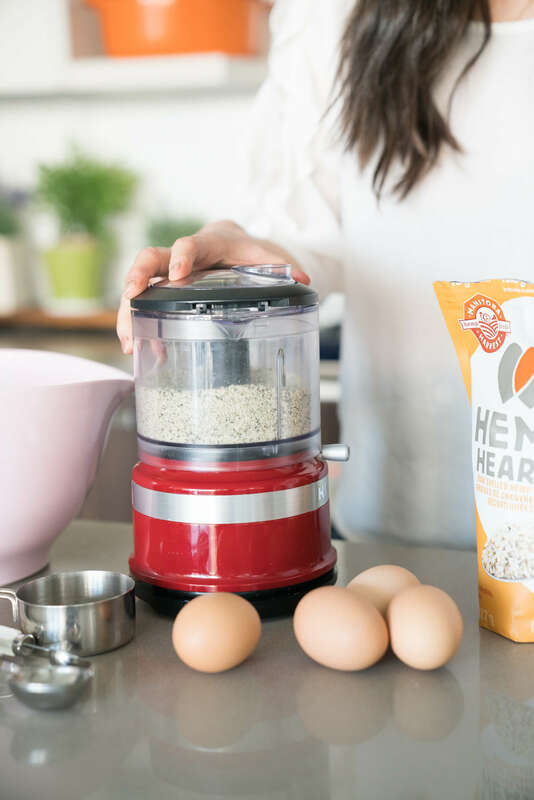 Now if you want, you can put the Hemp Hearts into a food processor to turn it into a more flour-y texture but you don't have to. It will work either way. I used Manitoba Harvest Hemp Hearts which are an amazing source of plant-based protein and have all 10 essential amino acids. They are also loaded with GLA (Gamma-Linolenic Acid) which has been shown to alleviate inflammation and support skin and hair health as well as help to balance hormones. 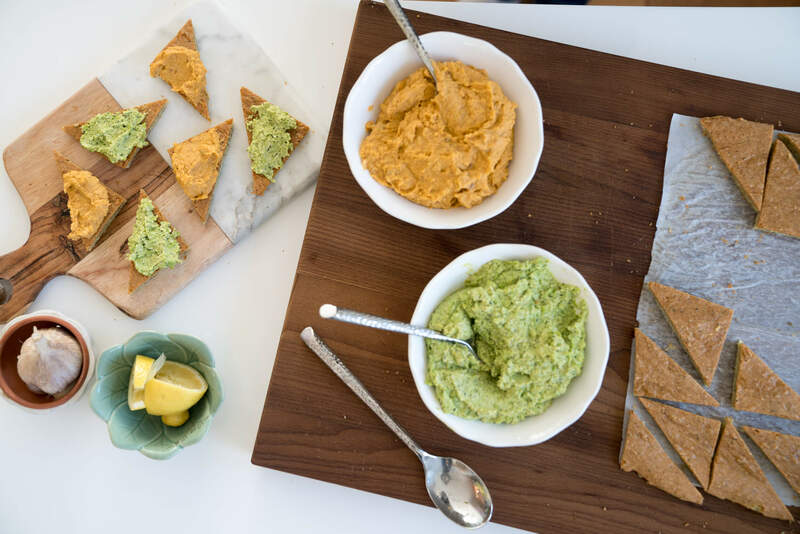 I think this flatbread with dip is the perfect party snack! Then you hopefully have leftovers to enjoy the next day. 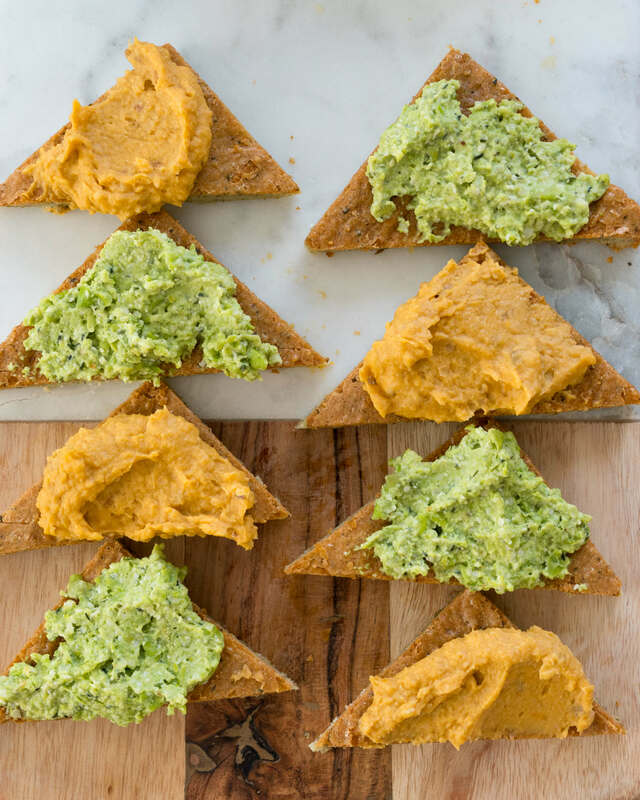 Our Vieanbean LOVES the sweet potato hummus on this flatbread. 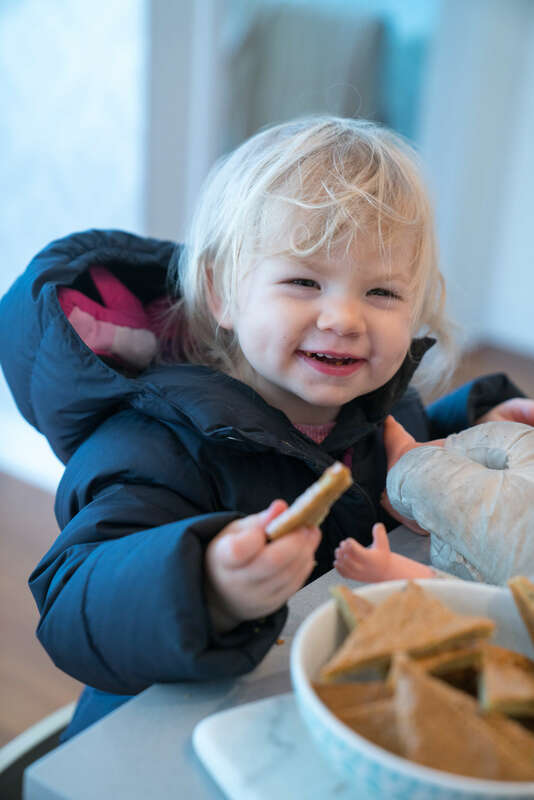 She grabbed a piece as soon as she came home from school today before she even took off her winter coat! 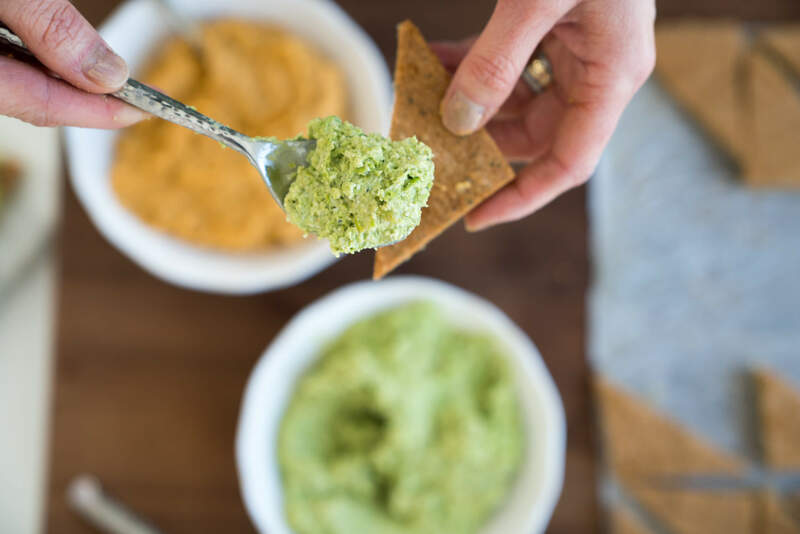 These dips are both festive and delicious. 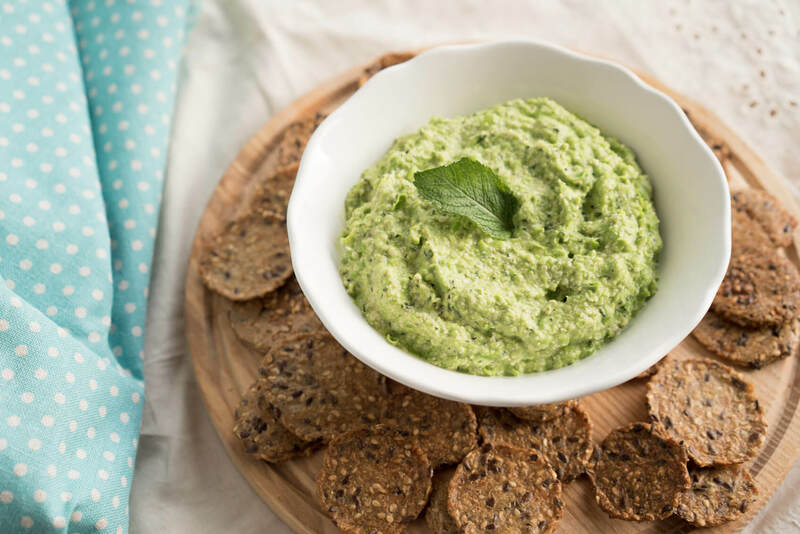 You could even top the sweet pea hemp dip with pomegranate seeds! Now I shoulda done that ;) Or just arrange them on a plate like Christmas trees, like I did. Now if you don't each cheese, don't worry, you can easily make it dairy-free by using a non-dairy cheese like Daiya. My preference is usually goat cheese, but it will work with any of the three options I mention below in my recipe. I haven't tried it without eggs, but I'm pretty confident it will work with a flaxseed and water substitute. To get my Egg Substitution Chart simply download it here or turn to page X in my book Joyous Detox. 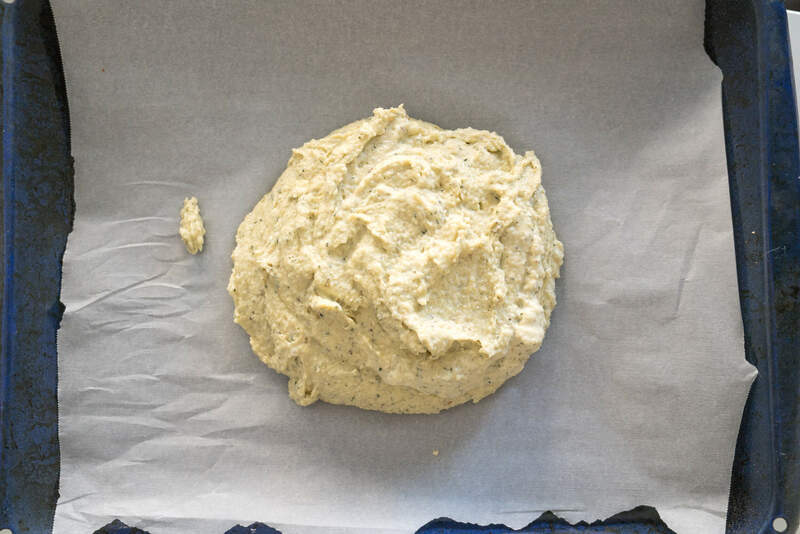 Here's my recipe for Hearty Hemp Flatbread. See my tips below. You'll notice the dough is sticky and wet, that's totally normal. 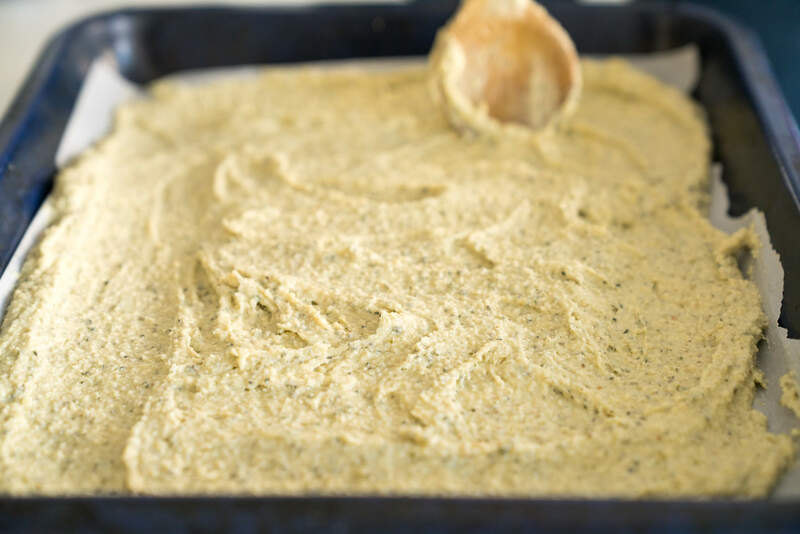 It's super easy to spread on to the baking sheet with a wooden spoon or a spatula. If you'd like it a little more crispy/crunchy bake it an extra 5 to 10 minutes. Just be careful you don't burn it. I cut them into triangles but squares or rectangles work great too! 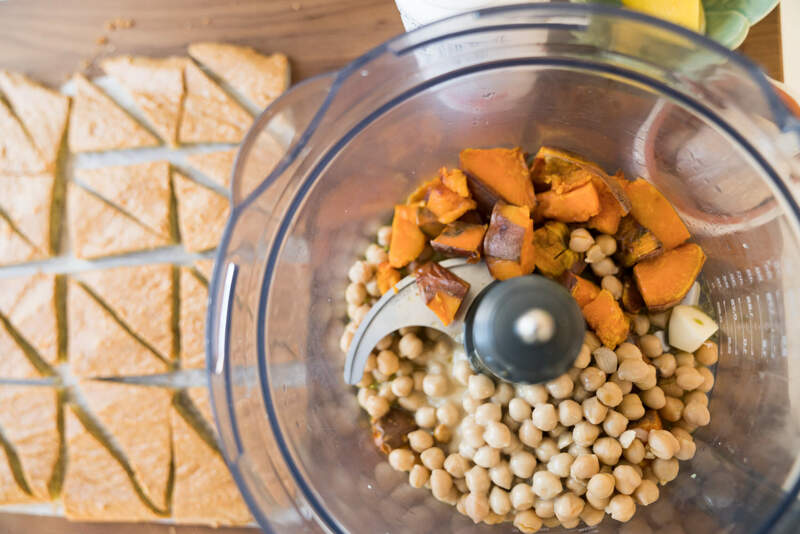 Here is the recipe for my Sweet Potato Hummus and it's super easy to make! I also enjoy it with sliced cucumbers. As always, do tag me on instagram or facebook @joyoushealth or #joyoushealth if you make it because I LOVE seeing you guys create my recipes and put your own spin on them. Are you doing any holiday entertaining this year? Feel free to share your favourite holiday entertaining recipes below! This post was created in partnership with Manitoba Harvest, however all opinions are always my own. Read more about partnership ethos here. Hi Joy, These are fantastic! Thank you for the delicious snacks! I need to avoid almonds, so I just ground up pecans and substituted cup for cup, then tried some aged goat asiago from Great Lakes Goat Dairy (funny, because I am in Alberta.) They were a great hit in my house. I wonder if this might be good for a pizza crust too. Thank you! Just made this with sunflower flour (made up in my coffee grinder) and they are 👌👌! Our little guy is a) sensitive to almonds and b) in a nut free daycare so I'm so happy it worked out! Not nearly so pretty (they are quite green) but very tasty! Any suggestions for a substitute for almonds/almond flour due to severe allergy. Can you please suggest an alternative if I do not want to use eggs? Hi Joy. Is there a substitution for the cheese? Thank you. Hi Anne, if you don't eat dairy, you could use Daiya cheese which is a non-dairy cheese and will still help it stick. Enjoy!